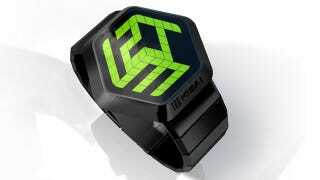 Tokyo Flash has turned another watch from concept to reality, and this one's 3D! Well, kind of. Using an optical illusion rather than the kind of 3D we normally see on Giz's pages, the time appears to leap out in a 3D cube.